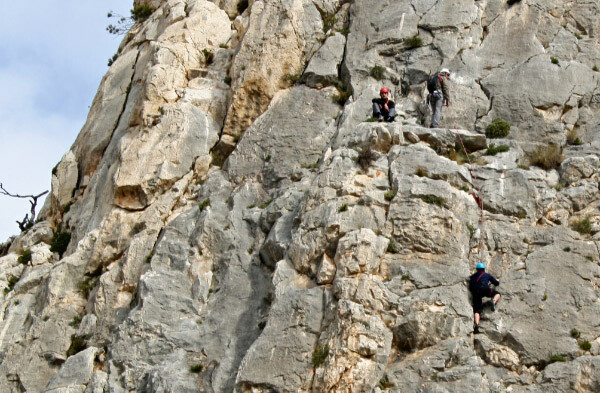 Exercise Diamond Sierra Blanca consisted of a seven day rock climbing expedition undertaken in the Costa Blanca region of Spain. Spain in February is an obvious choice of location during the winter months to inspire novice climbers to rise to the challenges and demands that scaling steep rock imposes on the psyche. Therefore, the team arrived in Calpe in high spirits whilst bracing itself for the training ahead. The plan was to provide first class instruction to guide and assist with the progression of the team and develop the core skills necessary to attempt future training which in turn would lead to instructor development and qualifications in the future. 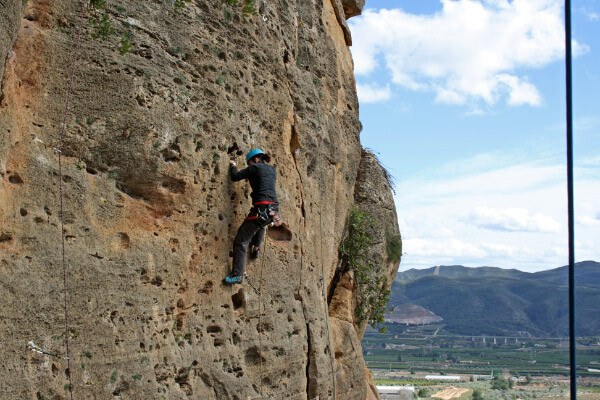 Several venues were chosen including Sierra de Toix that combined both single and multi pitch routes on imposing limestone walls that towered over the shimmering Mediterranean Sea. The instruction offered by David Baggely and Robbie Davies was first class allowing the climbers to extend their skills as the expedition progressed. Instruction included equipment selection and use, ropework, climbing skills and movement on rock, safety and single/multi pitch climbing and abseiling. 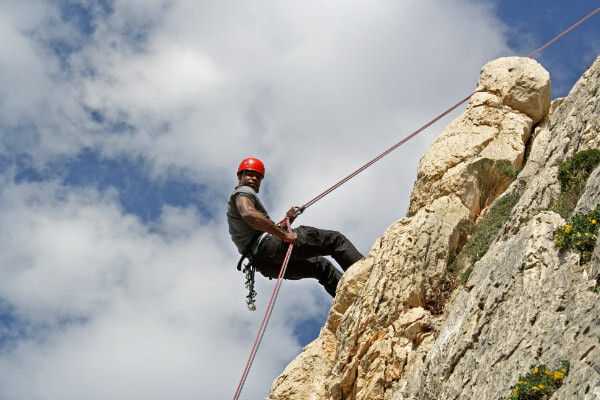 In addition, the practical application of skills on various climbs of varying grades and difficulties would push everyone to achieve success beyond their expected level. Those who volunteered to attend the expedition with a fear for heights quickly adapted to their surroundings and took the challenge head on. Gavin Harrison demonstrated this by overcoming this anxiety and tackled some of the harder routes with determination. Daily venues were discussed to maximise the training and time available. The weather as always was discussed but in the main was warm and sunny throughout the week. Rain did make an appearance but didn’t dampen the enthusiasm or quest to conquer some of the more difficult challenges set. Additional venues were sought. Montessa, a first class location, would yield some of the more adventurous routes and push the climbers even further. However, by this stage of the expedition, teamwork, esprit du corps and personal skills were honed allowing all to enjoy the climbing whilst concentrating upon conquering the routes set by the instructors. The decent from the majority of the multi pitch climbs involved courageous abseils and for a novice climber required both courage and confidence. Jon Lowther maintained the social activities post climbing which meant a sojourn along the seafront at Calpe for refreshments at the end of a hard day. 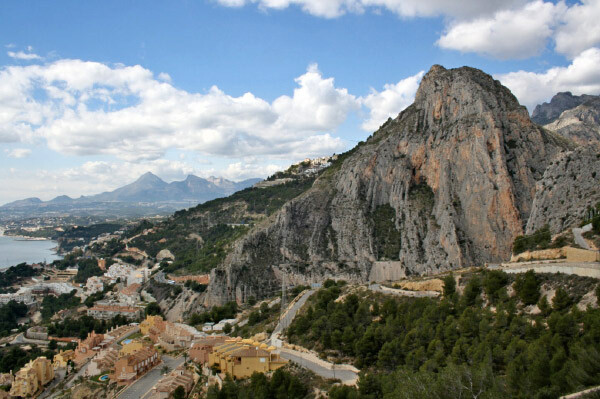 Meals out would consist of tackling some of the local Spanish dishes which for some was as hard as the climbing. The opportunity to attend adventure training expeditions of this nature offers development in a variety of disciplines with language being just one of those facets. I am therefore sure that some of the team may have been surprised by what they ordered for dinner each evening. The accommodation was basic but offered a central base from which to mount the daily activities from. Pension Centrica was friendly, clean and provided both breakfast and a lunchtime sandwich which was supplemented by the purchase of local food stuffs from a nearby supermarket. The culmination of the expedition returned the team back to Sierra de Toix. The climbs were completed with skills developed over the course of the seven days and clearly demonstrated the application of all that was taught during the trip. Thanks, therefore goes to David and Robbie for the quality of instruction afforded throughout. The climbing venues were exceptional. The rock was always sound and sat within some fantastic scenery that only added to inspire. The expedition set out to develop novice climbers into aspiring instructors of the future and it is felt that this aim was achieved. It was obvious to see how adventure training had developed each and everyone. Well done all.